I am so pleased with how it turned out! Here you can see whare I added the TH Melange tissue wrap on the flat area of the canvas to be a background for the photo. On another piece of tissue, I spelled Riley's name with rub ons from my stash and outlined them with several different black markers including my new Fude Ball 1.5 MM black pen. I also wiped some gesso around the edges of my photo with my finger. I took this side view photo so you could see the dimension of my flowers and how I outlined the frame with black paint. When the paint dried, I used Art Anthology Dimensional Crystal in Blizzard and Peony to break up the starkness of the black and to add yet another layer of texture. Here is the plain canvas. First I applied gesso. 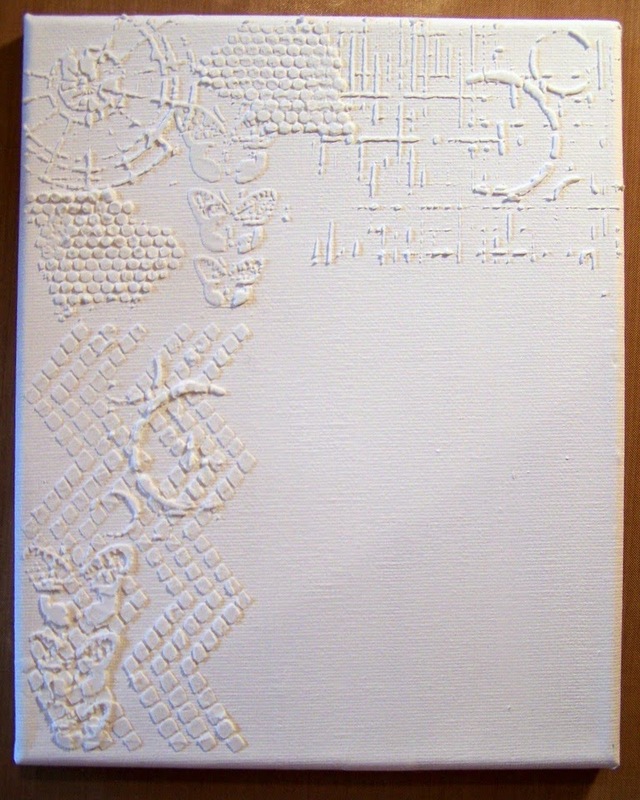 Then came the white embossing paste and stencil phase. This took a while because many times I over-lapped the images. There was some drying time involved. I wanted you to see the stencils and the plain area I purposely left so the photo would fit. 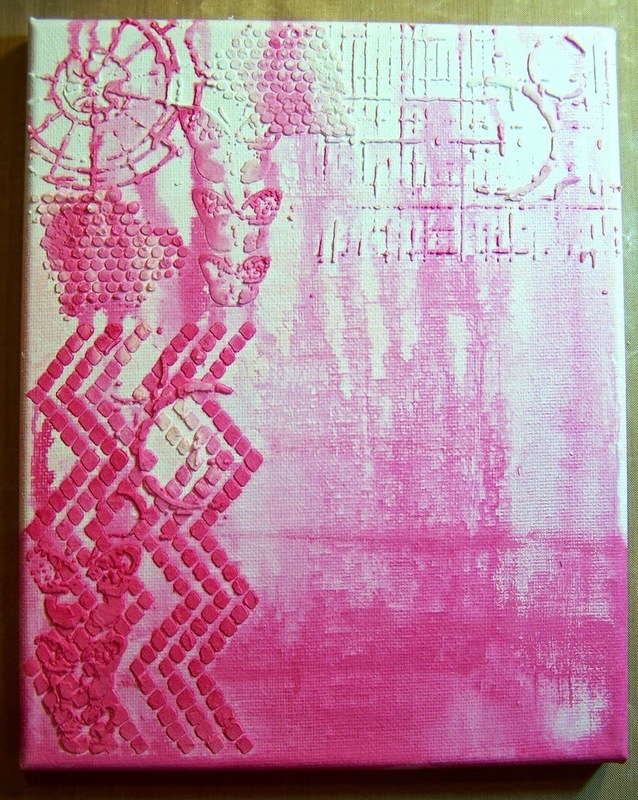 After the embossing paste was dry, I painted the entire canvas with TH picket fence distress paint for a solid base. For this color effect, I painted the canvas in three sections with TH Distress paint for a gradient look. I used: Picked Raspberry, Spun Sugar, and Victorian Velvet. I flipped the canvas upside down with the darkest color on top and liberally sprayed water on the paints so they would run. I LOVE the end result and have to say it is even prettier IRL! 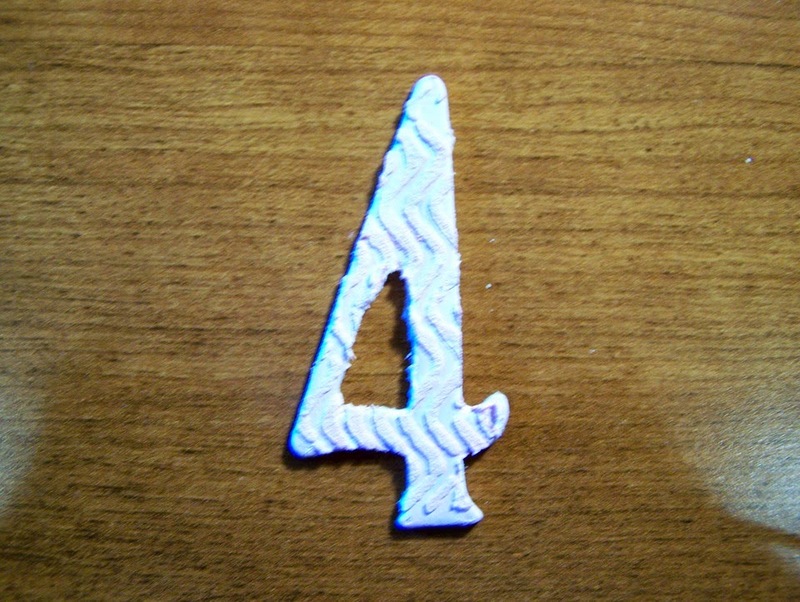 Here's a photo of how I added the mini chevrons to the chipboard number. 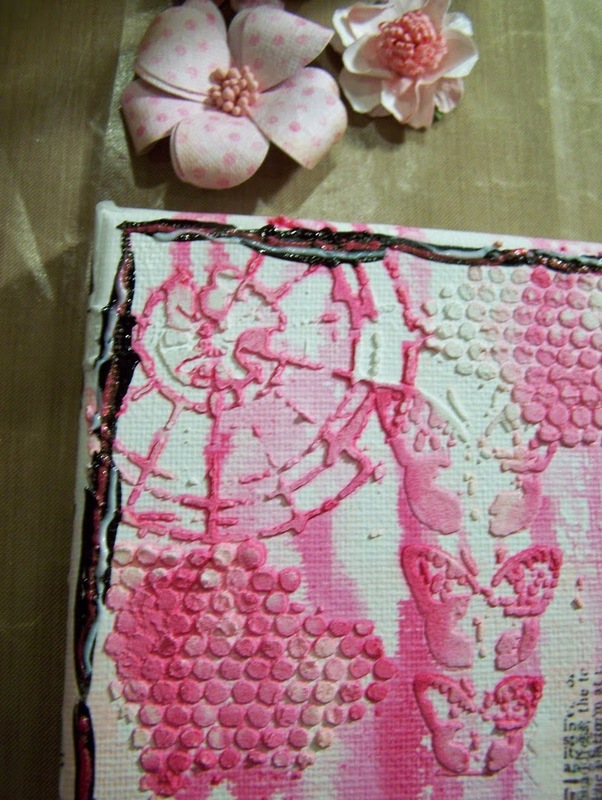 I painted it first with white gesso for a base then layed the mini texture stencil over it. 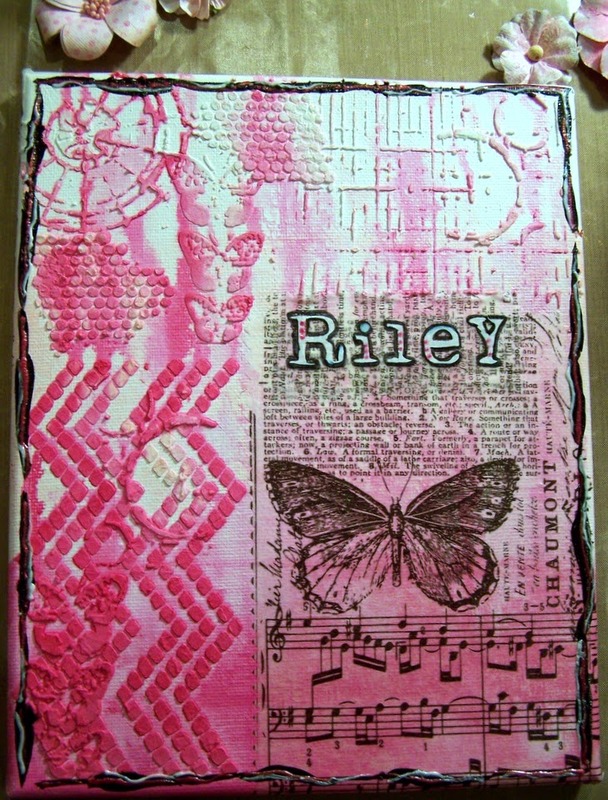 This is how it looked with the embossing paste. 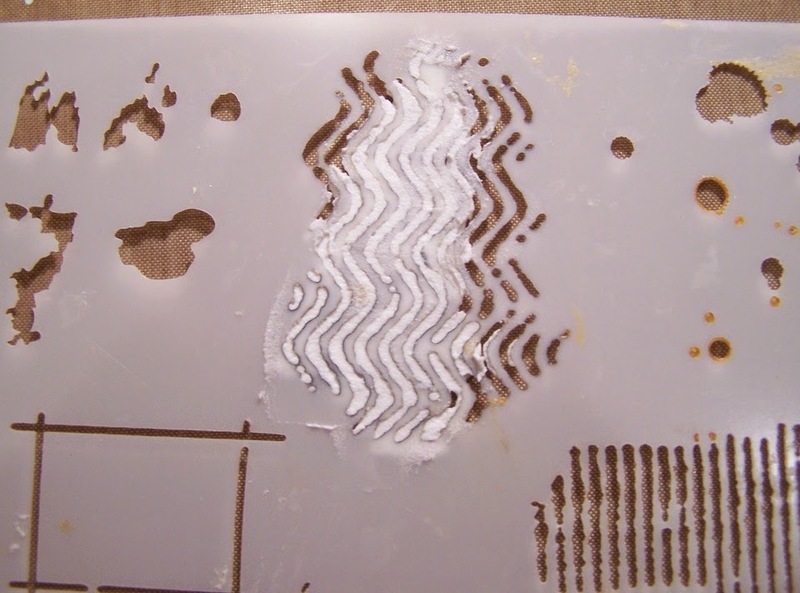 This is how it looked after I removed the stencil and the embossing paste dried. 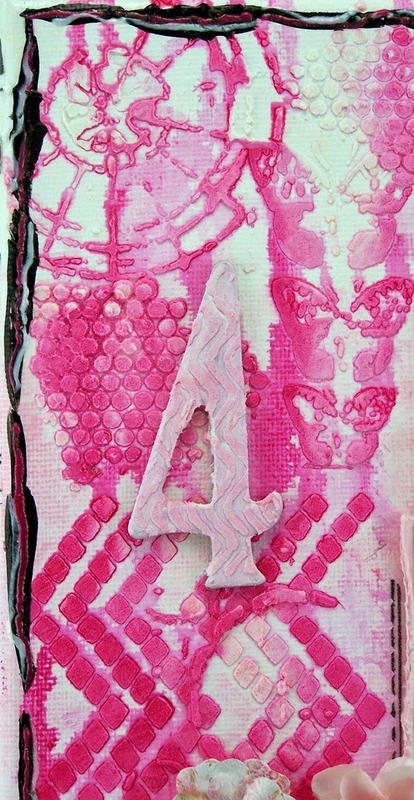 I then applied TH Spun Sugar paint to it for some color. In this photo I wanted you to see the black paint around the edges and the Art Anthology Dimensional Crystal paint in Blizzard and Peony. I LOVE how this frames the canvas and makes everything else POP! I hope you like my canvas and I hope you come play with our ePlay Stencil Challenge! We would LOVE to see your FAB creations! Plus you can win a $25 voucher to use in the eclectic Paperie Shop! What are you waiting for???!!! 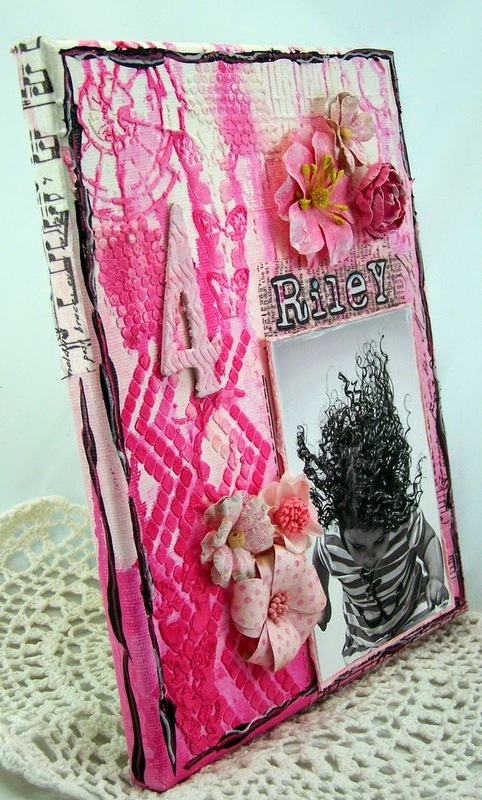 Gorgeous Sue, love all that texture especially the embossed stencils. And the black outline around the canvas with the added Dimensional Crystals is awesome. Beautiful canvas. Your friend will love it. PS: Great shot of Riley!!!! that is so cool, I don't have the patience to do it, but so admire the result!!! Gorgeous hot pink makes it pop! Lovely canvas! Great stencil effects! Beautiful work of art! I really appreciated the detailed photos of the process. Verrrry educational. Thank you. Sue what a great way to show the fab photo. Really love all the texture you achieved. 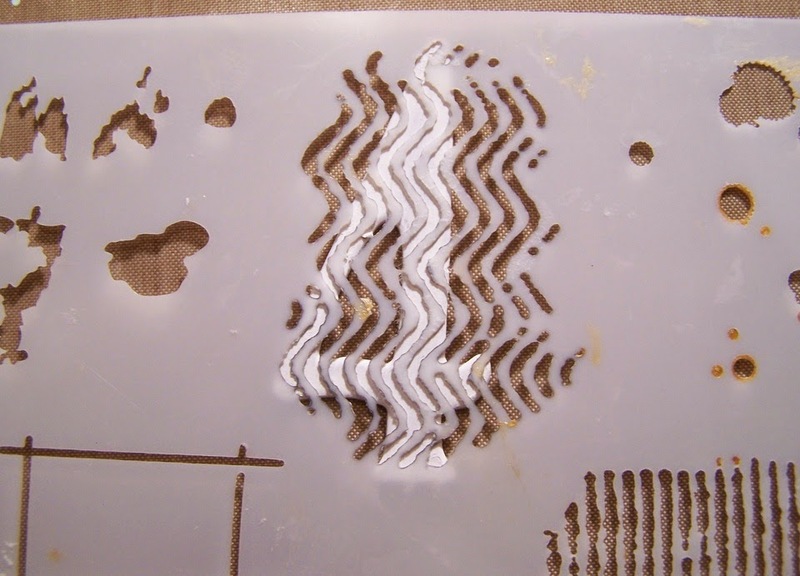 And yes it takes some patience to wait for the embossing paste to dry. Especially the very pretty way you used it. Thanks a lot for sharing your art and for the detailed photos and explanations. Wowza Sue! 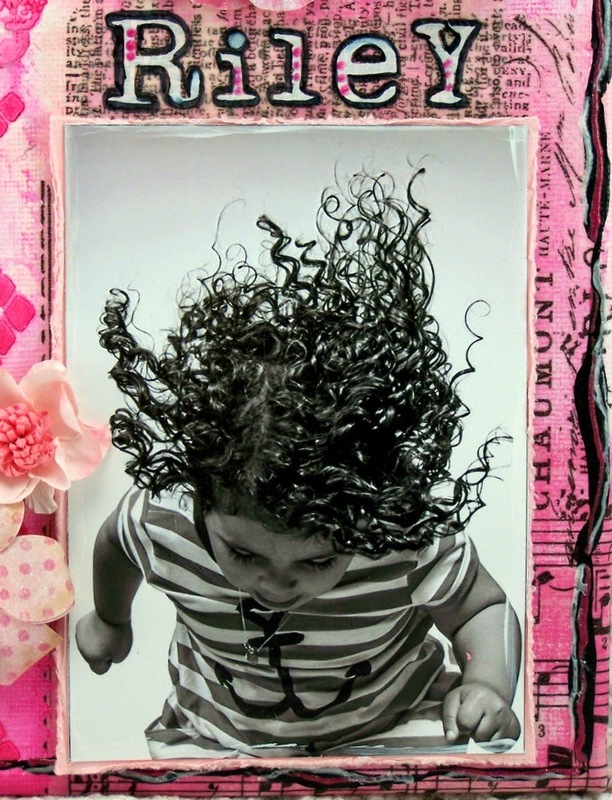 what a wonderful canvas - First - what a fabulous photo to highlight on your project - her flying hair is SO fun!! 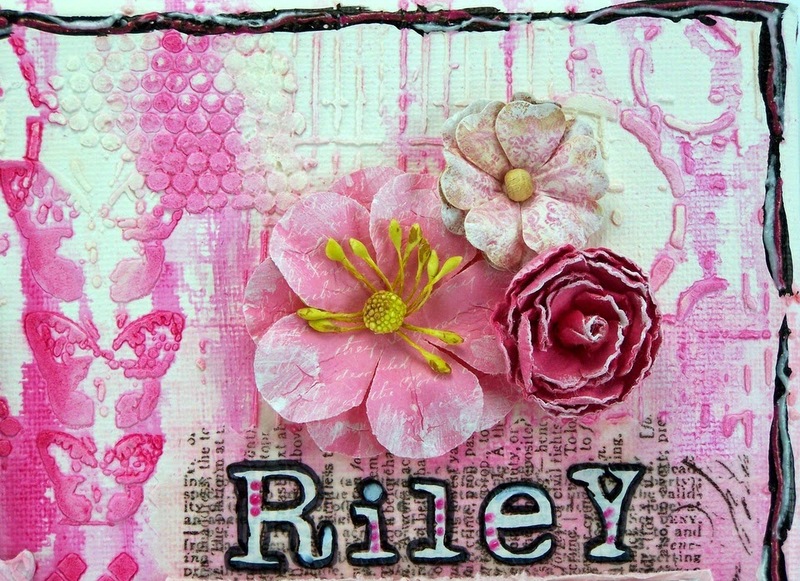 and I absolutely love all of the dimension you achieved with your numerous stencilings! 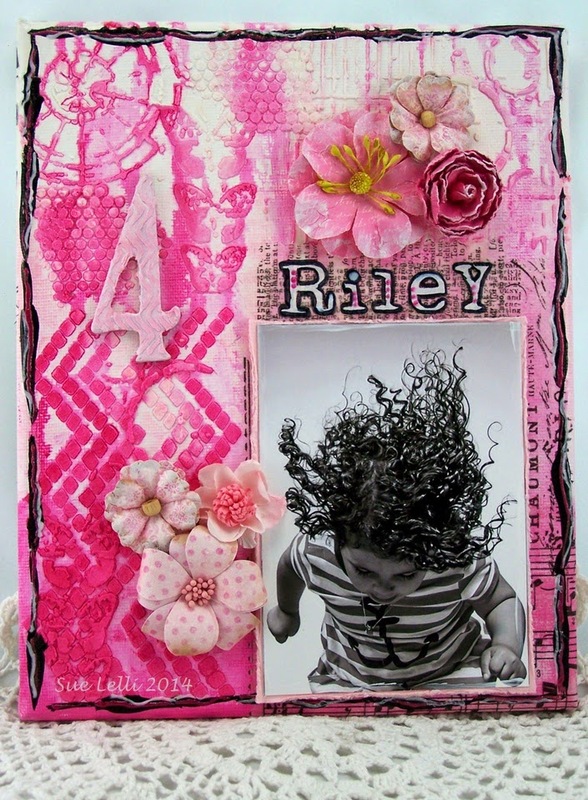 the drippy pinks and black framing is awesome too!! I spy....a great canvas! That photo is wonderful!! So much movement...no wonder you wanted to used it. Love your techniques with the stencils girl. Love this piece of art. Great color choice.